kids | Dad's In The Kitchen Blog! 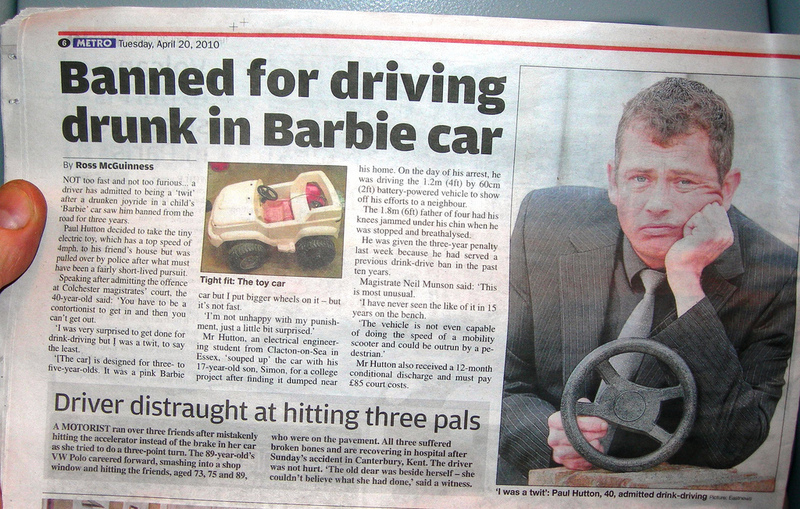 They’ll drive you to it. Many men start adulthood – and dating, and married life, and pregnancy, and fatherhood – with a drink, or two. There’s a connection in there, somewhere. Anyway, as time goes on, the responsible male head of the family recognizes, there is a time for having a beer, or bottle of vodka, and a time for staying relatively sober. Especially now, when children’s thoughts turn to sugar plums and expensive electronics, it’s important to spare them the lifelong embarrassment, shame and terror that can come from being a careless, tipsy pop. This Holiday Season, as you’re getting your drink on, I hope you’ll join me and take a moment to see things from your kids’ perspective, with this Top Ten signs they wish we wouldn’t Drink and Dad. 1. Holiday music is a special treat for youngsters. Everyone likes to sing along. But if you’re doing the third replay of ‘Grandma Got Runover By a Reindeer’ and still laughing, why don’t we check the breathalyzer. 2. ‘Invisible elves’ is probably not going to convince anybody why Daddy is stumbling a lot over things nobody else can see. 3. Yeah, they’re cute as can be. But really: trying for that once-in-a-lifetime shot of the kids hanging like ornaments on the Christmas tree is just not going to fly. No matter how much the guys at work will really love it. 4. If you can’t dance, there was absolutely nothing in that last drink that fixed ‘can’t’. 5. No matter how many pretty colors and shapes it has in it, that giant mixed bowl of cereal is just not going to pass for Christmas dinner. 6. The following are signs you’re doing online gift shopping after a bit too much Holiday Cheer. You (a) buy something your son will grow into and be able to use five or six years from now; (b) order that drum kit you always wished you’d got for Christmas when you were a kid; (c) decide it won’t really matter the gift for your wife isn’t going to arrive til January 4. 7. Hearing the kids and their sleepover friends play ‘guess why Daddy won’t stop laughing / crying by himself in the kitchen’ is probably not the kind of Holiday game you want to encourage. 8. Yes, it really does save time and trouble to just let the little ones run around free for the Holidays without their drawers or diapers on. For about, oh, two hours. 9. Yes, it’s four am, and you really did leave that three page note finally getting everything off your chest on the desk in the bedroom your mother in law is using. 10. It may be a good idea to check first, and see from the kids faces whether they are really as excited as you think to see you in the living room wearing all the Christmas lights. This Holiday, raise a glass, make a toast, but give the family a time they’ll treasure forever. Not a viral YouTube video. 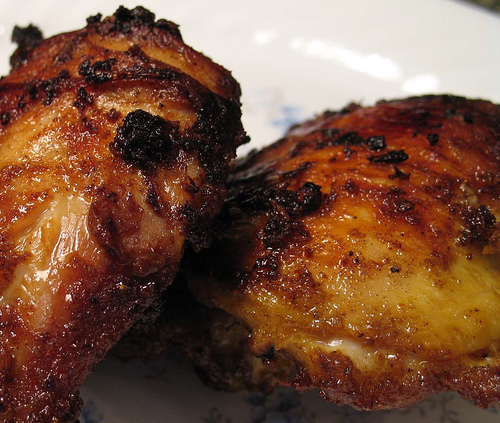 Here’s a pretty easy and delicious all-in-one chicken recipe, for when you’re facing the hungry horde. I’m sure I’m not the only dad with sharks for kids. No matter where they are, as soon as they sense food, they come circling. I step in the door and there’s a rustle and movement from the back of the house. I notice bits of snacks and wrappers around the floor and sofa, evidence they’ve been feeding, like fish scales in the water after a frenzy. And before my keys hit the table, they’ve gathered around my legs and want to know: what’s for dinner? Dad knows this is a trick question. The correct answer is, ‘What did your mom say we’re having?’ If she’s got something planned, no sense getting in the way. Another trick question. They know that’s what I’m thinking. The twins are reaching for the phone. ‘No,’ I say,’ I’ll call you when dinner’s ready.’ Pizza cheese and dough more than once a month is an experiment we don’t want the results to. So I end up rooting in the fridge and cupboards. That’s the toughest part about kitchen duty. Having to come up with ideas for meals all the time without doing repeats every three days. Some easy recipe, without a lot of work or time. And something the kids will eat. Here’s a dish everybody inhales, and it goes together pretty simply. You’ll need: a 13 x 9 x 2 pyrex dish, and a cast iron fry pan. Set the oven to 350 F / 178 C.
Start with the fry pan. Chop the onion into large bits, set the skillet over medium heat, add butter. Cook and stir til the onion starts to get transparent, then take the onion out and put aside. Now, you can skip this next step if you want, but I like to crisp the chicken skin, and think it’s worth it. Add olive oil to the fry pan, turn up the heat to 7 or 8 (out of ten) and when it starts to sizzle a bit, put the chicken thighs in skin side down. We’re just going to brown off the chicken so the skin gets a bit crispy, which takes four or five minutes. Check by lifting each piece – you want to see nice golden brown crispy, not limp skin. Keep it going longer if needed. Remember, we’re not cooking the chicken, just browning the skin. This is how they'll look. When browned, turn off the heat, remove the chicken. Add 1/2 cup water to the pan. This will loosen and let you scrape up the cooked bits left in the pan. Keep this for later. Take the pyrex dish and put in 1 and 1/2 cups of water and two cups of cranberry juice. Add one half packet of onion dip to that and mix it in – if you like it strong, add more, but it’s pretty salty, so the whole packet is probably too much. I usually also add a couple good shakes of paprika (smoked paprika is the best), a couple shakes of marjoram. Now add two cups of rice to the liquid, mix it in, then spread it evenly. 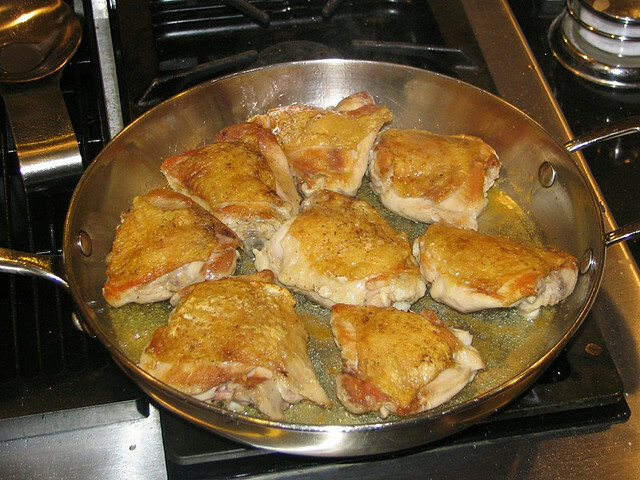 Next, put the chicken thighs, skin up, on top of the rice, around the pan. Add the onions in around the chicken on top of the rice. Now, pour the water from the fry pan over the chicken and onion. Cover with foil and bake for an hour. If you check and the chicken isn’t done through (no pink) or the rice isn’t done, pop it back in for 15 – 20 mins more. This is one of those dishes you can add things to each time you make it (mushrooms, white wine, etc) but it’s a savory / sweet pleasure the way it is. The rice absorbs the chicken and onion flavors with the cranberry, the chicken falls off the bone, and everything stays moist. This recipe works for kids because it’s one of the “Real Food Groups“, which you can check for more ideas.